Feynman's lectures were originally given as the Sir Douglas Robb lectures at the University of Auckland, New Zealand in 1979. Videotapes of these lectures were made publicly available on a not-for-profit basis in 1996. 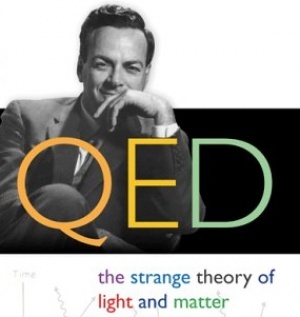 These 4 lectures given by world renowned physicist Richard Feynman were adapted into a book called "QED: The Strange Theory of Light and Matter." QED was designed to be a popular science book, written in a witty style, and containing just enough quantum-mechanical mathematics to allow the solving of very basic problems in quantum electrodynamics by an educated lay audience. It is unusual for a popular science book in the level of mathematical detail it goes into, actually allowing the reader to solve simple optics problems, as might be found in an actual textbook. But unlike in a typical textbook, the mathematics is taught in very simple terms, with no attempt to solve problems efficiently, use standard terminology, or facilitate further advancement in the field. The focus instead is on nurturing a basic conceptual understanding of what is really going on in such calculations. Complex numbers are taught, for instance, by asking the reader to imagine that there are tiny clocks attached to subatomic particles. The book was first published in 1985 by the Princeton University Press. The four lectures were adapted into a popular science book appropriate for a broader audience. CosmoLearning is promoting these materials solely for nonprofit educational purposes, and to recognize contributions made by Richard Feynman (Feynman) to online education. We do not host or upload any copyrighted materials, including videos hosted on video websites like YouTube*, unless with explicit permission from the author(s). 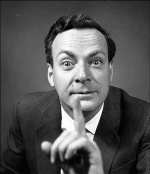 All intellectual property rights are reserved to Feynman and involved parties. CosmoLearning is not endorsed by Feynman, and we are not affiliated with them, unless otherwise specified. Any questions, claims or concerns regarding this content should be directed to their creator(s).